My son Andrew (aka Andy, Drew or Ardie depending on which sub-culture you belong to) has written a book. Needless to say I am extremely proud. What father would not be delighted to see his son grow to write a novel and have it published? He belongs to a generation immersed in social networks, new media, always-on communication and a new language associated with this world community. This is a world that appears to have no barriers, no boundaries, no class. It feels timeless and season-free. Ideas ping their way around the globe, being freely shared, blended, improved, challenged and accepted. Of course I would love it if you read the book, and I do recommend it, especially if you have ever enjoyed any of the work of Douglas Adams. But, even more than the content of the book itself, this feels like the product of a new generation of thinkers, a new age of innovators, and the dawn of a more co-operative and hopeful world. Reading will never die, but the way that we create and generate new ideas to be read will continue to evolve. It’s exciting to observe at close quarters. 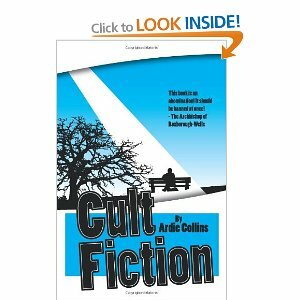 This entry was posted in Uncategorized and tagged ardie collins, cult, cult fiction, Douglas Adams by louiscollinsblog. Bookmark the permalink.